Adventures In Uglyworld: Uglyworld #201 - Where is the Weinachtsmarkt? Uglyworld #201 - Where is the Weinachtsmarkt?, originally uploaded by www.bazpics.com. 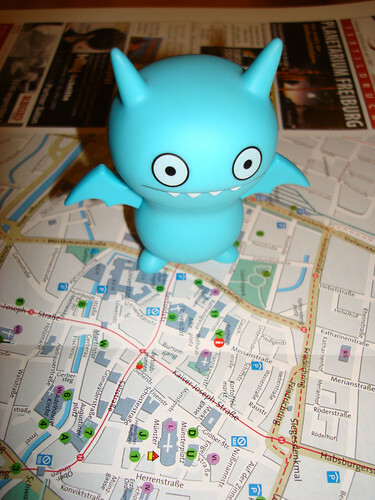 Ice-Bat discovered that there is a weinachtsmarkt (christmas market) in Freiburg and set about working out where he could find it using a map of the city. I asked him if he knew where the hotel was on the map and he said "sure, it's under my left foot". Looks like we're going to visit it this evening.